ÑEmail Curd, Galindo & Smith, L.L.P. Dog bites and dog attacks are very common and can cause serious injuries, including permanent disfigurement, nerve and tissue damage and psychological trauma. In severe instances, dog attacks end in death. If you have been attacked by a vicious dog you need the help of an experienced dog bite injury attorney from Curd, Galindo & Smith in order to get the maximum compensation for your injuries and other losses. VIDEO TRANSCRIPT – They say a dog is man’s best friend. That is until the dog bites someone. Not only is a dog bite a serious injury that can result in skin damage, bone injury, scars and serious infections, a dog bite generally means a lawsuit against the owner for those damages. State laws vary regarding liability for dog bites, and some state laws take into account whether the dog has ever bit in a person prior to this incident. If the dog has bitten before, then the “one bite states” may find the owners strictly liable for all subsequent bites on the theory that the owner should have known about the dogs propensity for biting. Other states may hold that the owner is liable on simple negligence or premises liability theories, regardless of whether the dog has previously bitten anyone. If you or your child has been bitten by a dog, or if your dog has bitten someone else, then you should contact an attorney immediately to discuss your case. The sooner the better in these cases. As the injuries and circumstances should be well documented as soon as possible after the incident. By compiling U.S. and Canadian press accounts between 1982 and 2013 the editor of Animal People compiled statistics of the dog breeds most responsible for serious injuries and deaths. While dogs can be a source of joy, and provide us with happiness, they are still lesser-aware animals, and they can be prone to attack by nature or may strike viciously when frightened, cornered or startled. According to the Centers for Disease Control and Prevention, more than 4.5 million Americans are victims of dog bites each and every year —many of them innocent children . Why Should I hire a Dog Bite Injury Attorney for a Dog Bite Claim? Are you aware that insurance adjustors regularly settle cases with dig bite victims or the parents of dog attack victims for a mere 10 to 20 percent of the real value of your dog bite injury case? Insurance adjustors, by definition, are simply NOT on your side. In fact, their job training and their reward structure is to reduce the value of your case. How Can I Afford to Pay a Law Firm to Help Me Recover Damages? With our “No Win – No Fee” approach to Dog Attack claims and other Personal Injury cases, we work for free unless or until we win your case. This is known as a contingency fee arrangement. If we accept your case, we will cover all of the case expenses that must be invested in order to build a strong and winnable case. These expenses usually include paying our skilled attorneys, covering the costs of our paralegals & staff, costs for obtaining client medical records, veterinary records for attacking animal, hiring a commercial photographer document the victim’s wounds, paying investigators to research the attacking dog’s history, hiring a dog bite experts if negotiations fail and a court case is necessary. What if the Dog is Owned by a Neighbor or Acquaintance? You or your child has been attacked. But yes, we hear this concern often. It can be helpful to simply and succinctly explain to the animal’s owner that you have a lawyer who handles your insurance negotiations and will be handling this unfortunate incident with the owner’s insurance company. Remember too that the recovery money that we are seeking on your behalf as compensation for you or your child’s injury and emotional distress is from the dog owner’s insurance carrier, not from the dog owner directly. The California Dog Attack Attorney at Curd, Galindo & Smith represent clients injured by dog bites, auto accidents, workplace accidents, accidents on another’s property, medical malpractice and wrongful death cases. If you think you may have a dog bit personal injury case, please do not hesitate to seek the expert legal assistance you need to make things right. It costs nothing to call us, costs nothing for a consultation, and costs nothing to get us started looking out for your rights if we agree that you have a solid case. You absolutely can afford to retain the services of the nationally-recognized personal injury attorneys at Curd, Galindo & Smith because we work on a contingency-fee basis. What does this mean to you? You do not have to pay us any type of fee out of pocket. In fact, you will not even have to pay us a dime unless we win your case. 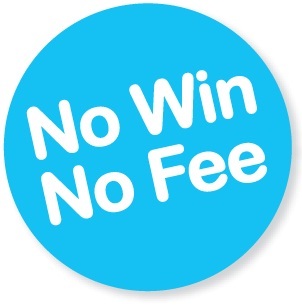 The contingent-fee arrangement is also commonly referred to as “no win — no fee” because the client is not held responsible for payment in the event that the attorneys are not successful in recovering an insurance settlement or jury award for money damages. If you have been seriously injured, we encourage you to call us today at (800) 300-2300 for your free, confidential consultation. Email Curd, Galindo & Smith, L.L.P. California Personal Injury Lawyers, Curd, Galindo & Smith, L.L.P.